- 7 Winning Free Predictions Posted Below! - Ferringo, Esparza With 7-Unit NCAAB Plays This Week! Doc's Sports NHL has put together back-to-back winning months and is in a nice groove as we head down the stretch of the regular season. Doc's has recorded 20 of 33 winning nights on the ice overall. Don't miss out on more winners from Doc's! Get on board with our daily selections for just $30. We also offer weekly and monthly hockey packages that are fantastic investments as well (click here). ROBERT FERRINGO is lining up for a monster end to the college basketball season, and he will have his first 8-Unit College Basketball Game of the Year early next week. Robert hast posted 10 of 11 winning years for over +$60,000 in profits, and he is extremely focused to have a legendary close to the season. Robert has been on a pretty legendary run with his NBA service, earning his clients over +$13,300 in profit during an extended run. Robert is working on four straight winning pro basketball seasons, and he has gone 52-36 (59%) for +$4,700 with his last 88 selections. Robert will also keep the pressure on the books with his NHL service as he has hammered out 16 of 24 winning nights on the ice and an over +$2,300 run. Robert has been one of the top moneymakers in the industry so far this decade, and he will have a trio of 7-Unit Plays on his cards this week. Jump on The Victory Train today! ALLEN EASTMAN is flat-out getting the job done right now with his college basketball and NBA services. Last week this cagey veteran nailed his 8-Unit College Basketball Game of the Year with ease as Virginia Tech beat Virginia outright as a 12-point underdog. Eastman has gone 16-5 (76%) with his last 21 basketball plays rated 7.0 or higher and is on big-time runs in both college basketball (+$4,000) and in the NBA (+$3,400). Eastman went 4-1 for nearly +$2,000 in profit last Saturday and Sunday alone in college basketball, and he will have a 7-Unit College Basketball Play lined up for Thursday this week. Also, Eastman will be off for the NBA All-Star Break, but few have been better cashing in on the pro circuit as Eastman has bagged over +$10,000 in profit over the last two regular seasons. Remember: he doesn't just release his plays, he bets his own money on every single one of them. Join Eastman in a partnership in profit today. RAPHAEL ESPARZA has been on fire with his college basketball service, going 7-1 for +$2,270 the last two Saturdays. Esparza will have a 7-Unit College Basketball Play on Thursday and a 6-Unit College Basketball Total on Saturday as he looks to add to his season profits. Esparza is also 4-0, +$2,200 with his golf picks this season and will have a 7-Unit Play posted Wednesday (Genesis Open). He will follow all that up with a 7-Unit NHL Play on Friday followed by a pair of UFC picks on Sunday. Finally, he is looking for more soccer winners (English Championship & English FA Cup), and you know the deal: you pick the sport and he picks the winners! STRIKE POINT SPORTS has shown remarkable consistency so far this season, posting a profit in 10 of the last 12 college basketball weeks while earning +$10,920 in profit. Strike Point Sports exploded for a 7-0, +$2,400 day last Saturday, and with six more weeks left in the season there is still plenty of winning to be done. SPS has posted three straight NBA winners, and they nailed their 8-Unit NHL Game of the Year last week as well, so they are heating up in all sports and are not to be missed. Sign up today! VERNON CROY has made his NHL clients nearly +$6,000 in profits this season, so make sure you play every single NHL play this expert releases or you are missing out big time. Croy also has his $100 clients up over +$3,600 with his top college basketball plays rated 6-Units or higher dating back to last season, and he is 5-2 (71%) with his last seven 7-Unit college basketball plays. Croy's clients have enjoyed +$4,845 in profits across all sports the last three months, and you don't want to miss this week's action. This week’s free picks are sponsored by Mybookie who is now offering Doc’s Sports readers a 100% sign up bonus up to $1000.00. 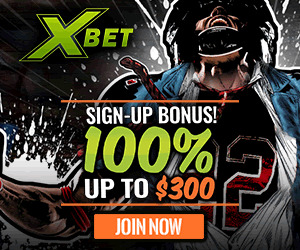 This is an amazing offer for anyone interested in signing up with one of the top sportsbooks in the world. I nailed my 8-Unit College Basketball Game of the Year last week (Virginia Tech over Virginia), and I have gone 16-5 on my last 21 combined basketball plays rated 7.0 or higher. I will have at least one more top play this week, and you do not want to miss out. I am going to start my weekend early with a winner here from the AAC. Wichita State is learning that this league is a lot tougher than the old Missouri Valley. And I think that the Shockers will have a tough time putting the Owls away in this one. Wichita State is coming off an easy win over Connecticut. And they have a huge game at Cincinnati coming up on Sunday. I don't think that Wichita State is going to be that focused on Temple. But the Owls have won five straight games overall, and they already beat Wichita State in OT back on Feb. 1 in Philadelphia. Wichita State will most likely win this game. But I don't think that it will be nearly the blowout that the spread will indicate. Half of Temple's losses this year have come by four points or less, and I think that they will play the Shockers tough again here. Take the points here. If you don't have an account at Doc's Sports sign up now and get $60 in free premium member picks click here. Existing clients call or email today and we will give you a discount on premium package. Call 1-866-238-6696 or email service@docsports.com and mention newsletter discount. Offer expires at 6 p.m., Friday, Feb. 2. The Golden Grizzles have not lived up to their conference expectations this season, and they cannot afford to take anybody lightly the rest of the regular season. They need to continue to win games to improve their seeding in the winner-take-all conference tournament come March. Oakland already beat Cleveland State this season by double digits, and that is how this game will go as well. The Vikings are one of the worst teams in the country and will be a quick out once the conference tournament begins. Do not miss out on Doc's Sports Weekend College Basketball Card. With March Madness just a couple of weeks away, now is the time to sign-up with a veteran handicapper that has 46 years in the industry. If you don't have an account at Doc's Sports sign up now and get $60 in free premium member picks click here. Existing clients call or email today and we will give you a discount on premium package. Call 1-866-238-6696 or email service@docsports.com and mention newsletter discount. Offer expires at 6 p.m., Friday, Feb. 2. The Jayhawks have alternated wins and losses for the last four games, but here they can get a strong home win to continue their push towards yet another Big 12 title. KU sits only one game back of first-place Texas Tech. And of late, West Virginia has been much more sporadic with their play. Kansas grinded for a full 40 minutes in the first meeting in Morgantown to erase a second-half double digit deficit and steal a win from the Mountaineers. Here at home they'll find it a touch easier. This won't be a blowout by any means, but Kansas is poised for a good win at Fogg Allen. Last Saturday we put together a perfect 7-0 NCAAB Saturday for +$2,400, and we want you to join us for another strong SPS College Hoops weekend. Sign up for our Saturday card for just $30. If you don't have an account at Doc's Sports sign up now and get $60 in free premium member picks click here. Existing clients call or email today and we will give you a discount on premium package. Call 1-866-238-6696 or email service@docsports.com and mention newsletter discount. Offer expires at 6 p.m., Friday, Feb. 2. Last week's free play was easy money with Alabama absolutely dominating Tennessee 78-50 at home last Saturday. I see another easy winner here with the Hurricanes. Miami is a little beat up right now and is missing Bruce Brown. But he hasn't been healthy most of this season, and they still have a lot of talent to work with. I think Miami will be coming off a loss to Virginia, and if they are that will be back-to-back defeats for Jim Larranaga's team. I don't see them losing three in a row. Especially not to a Syracuse team that has not been that good on the road this season. Syracuse has just one win over teams currently ranked in the Top 40, and that came at Louisville last week. I don't think they will get another road win here. Miami has a lot of size and will take advantage of Syracuse's lack of depth. The Orange never seem to play well in Florida, and they already lost by 11 in overtime at Florida State this season. I just don't think that this Syracuse team is any good, and now that they are starting to get into the meat of their schedule I think they will be exposed. That should start here with a loss in South Beach. If you don't have an account at Doc's Sports sign up now and get $60 in free premium member picks click here. Existing clients call or email today and we will give you a discount on premium package. Call 1-866-238-6696 or email service@docsports.com and mention newsletter discount. Offer expires at 6 p.m., Friday, Feb. 2. The Edmonton Oilers and Arizona Coyotes are both out of the playoff picture in the Western Conference. They're sitting in this position due to a total lack of defense played this season. You can find the Oilers and Coyotes in the bottom five of many defensive categories. I don't expect things to change in the season's final couple of months. Usually teams out of contention play looser and open up the ice more. That should lead to frequent scoring opportunities in Saturday's matchup. We're playing the OVER in our Saturday Free Play selection. We've been on a great NHL run (20 of 33 winning days), so get on board with our daily selections for just $30 (click here ). This pick falls into one of my top NBA systems, and I expect a very high-scoring game given the style of play by these two teams Thursday night. The Timberwolves have averaged 111 ppg at home this season and 117.6 ppg over their last 5 games before facing the Rockets Tuesday night. The Timberwolves have shot 52% as a team over their last 5 games, and opponents have shot 47.8% against them this season. The Lakers just allowed 130 points to the Mavericks, who have averaged just 101.9 ppg this season, and the Lakers put up 123 points themselves in that loss. The Lakers are the No. 2-ranked offensive rebounding team in the NBA, and they have averaged 107 ppg this season while opponents have averaged 109.5 ppg against them. Play the OVER and make sure you get on my top picks this week as I expect a big winning week ahead. If you don't have an account at Doc's Sports sign up now and get $60 in free premium member picks click here. Existing clients call or email today and we will give you a discount on premium package. Call 1-866-238-6696 or email service@docsports.com and mention newsletter discount. Offer expires at 6 p.m., Friday, Feb. 2. It's no secret that I do not handicap any All-Star sports, but getting Larry Nance Jr. almost +300 on Saturday was just too much to pass. With Gordon not being in this dunk contest from Orlando, this contest is wide open, and why not take a son of a dunk legend of a father. Larry Nance Jr. will shine in this competition, and I see him walking away with the trophy. Keep an eye out for this number as well because I have a feeling that the public will bet Dennis Smith Jr., so we could get a better number the closer this event kicks off. If you don't have an account at Doc's Sports sign up now and get $60 in free premium member picks click here. Existing clients call or email today and we will give you a discount on premium package. Call 1-866-238-6696 or email service@docsports.com and mention newsletter discount. Offer expires at 6 p.m., Friday, Feb. 2.